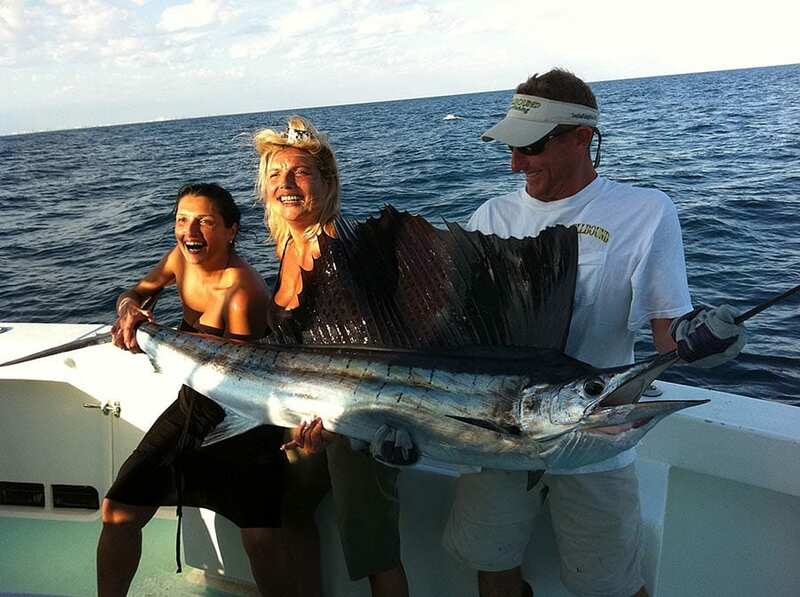 Sailfish Fishing Miami on the ALL NEW 57′ Spellbound is one of the most fun activities on Miami Beach. 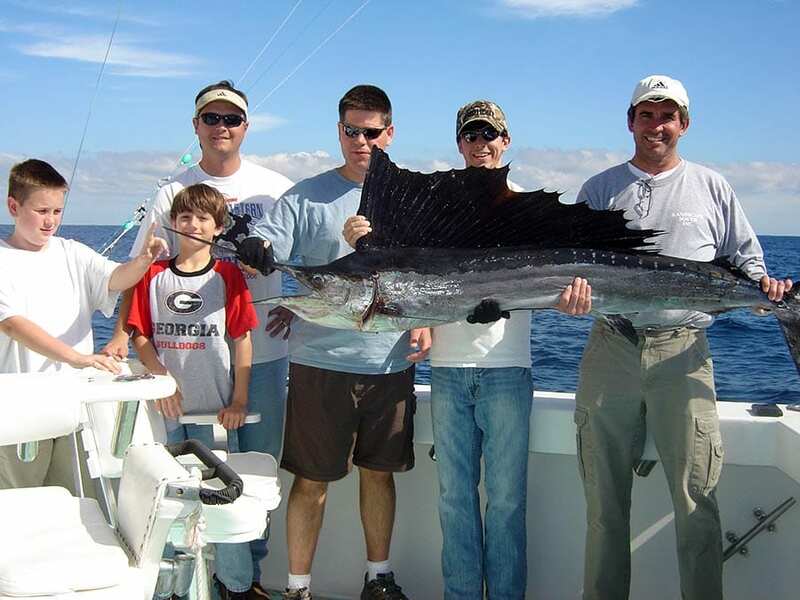 The Atlantic Sailfish is the best light tackle sport Sailfish fishing miamigame fish. Sailfish are hard fighting aerial acrobats. They make spectacular jumps out of the water. A seven foot Sailfish can jump out of the water and walk on its tail across the water. Sailfish are the single fastest fish in the ocean. They can obtain a sprint speed of nearly 60 miles per hour. 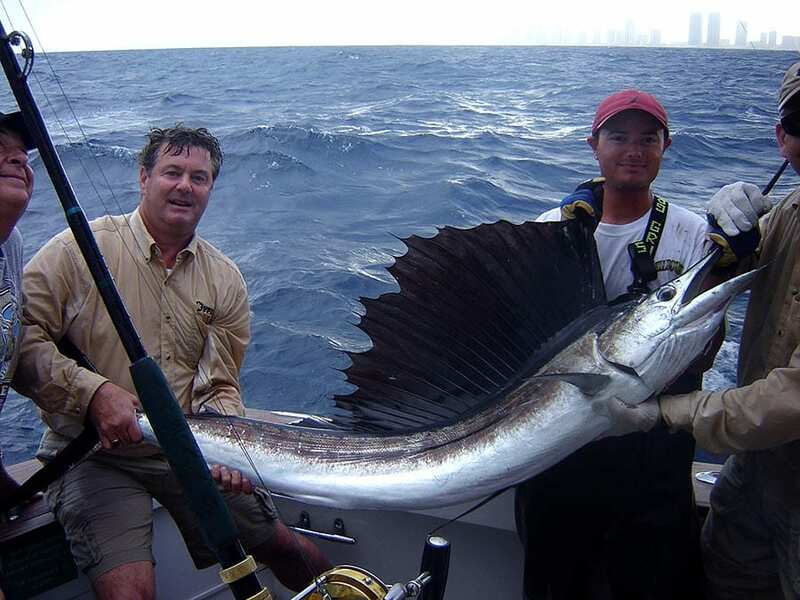 Also Sailfish have brilliant vivid colors, a giant sail like fin and a bill like a sword. A great apex predator and a great sport fish. 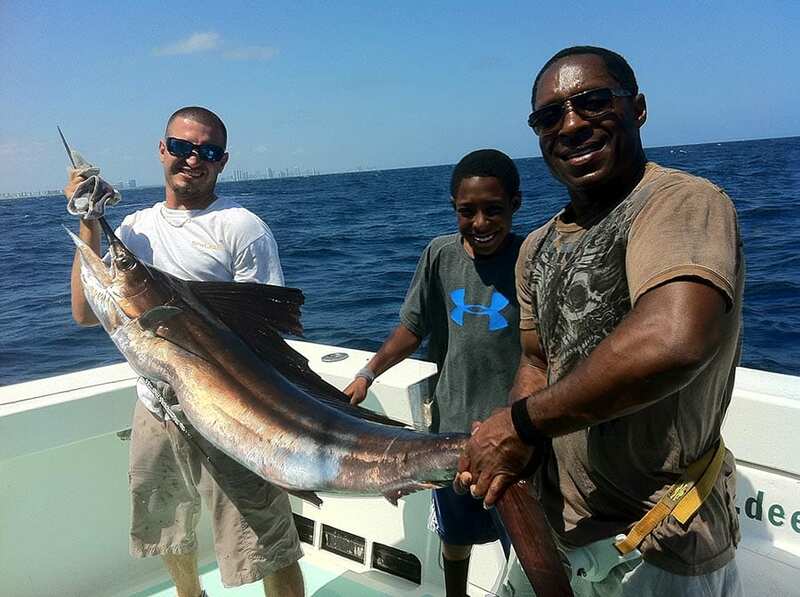 Sailfish fishing Miami is a fun and exiting way to experience Miami’s best Sport Fishing & Deep Sea fishing. There are many ways to target sailfish. 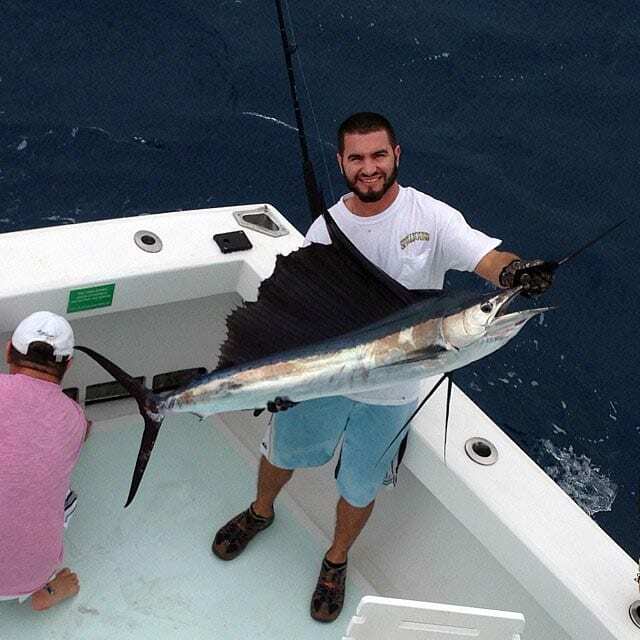 Sailfish fishing Miami with a kite is the best way to catch Sailfish, if the conditions are right for it. We also catch a lot of sailfish trolling dead baits and slow trolling live baits. 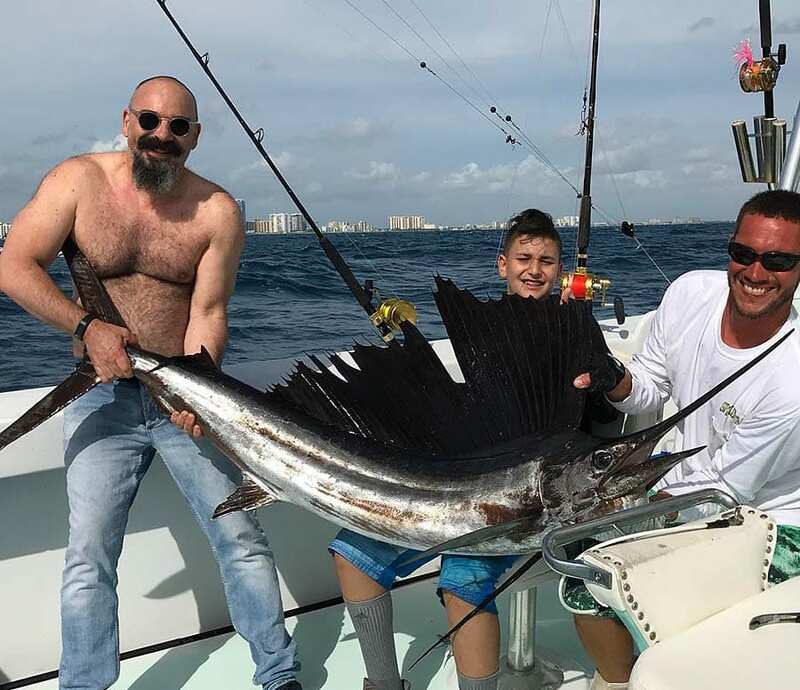 Although no other technique will out fish the kite fishing for Sailfish off Miami & Miami Beach. The kite spreads out the live baits into a pattern where any fish that come into the spread can see all of the baits. the kite also keeps the live baits right on the surface, where they are most attractive to a feeding Sailfish. 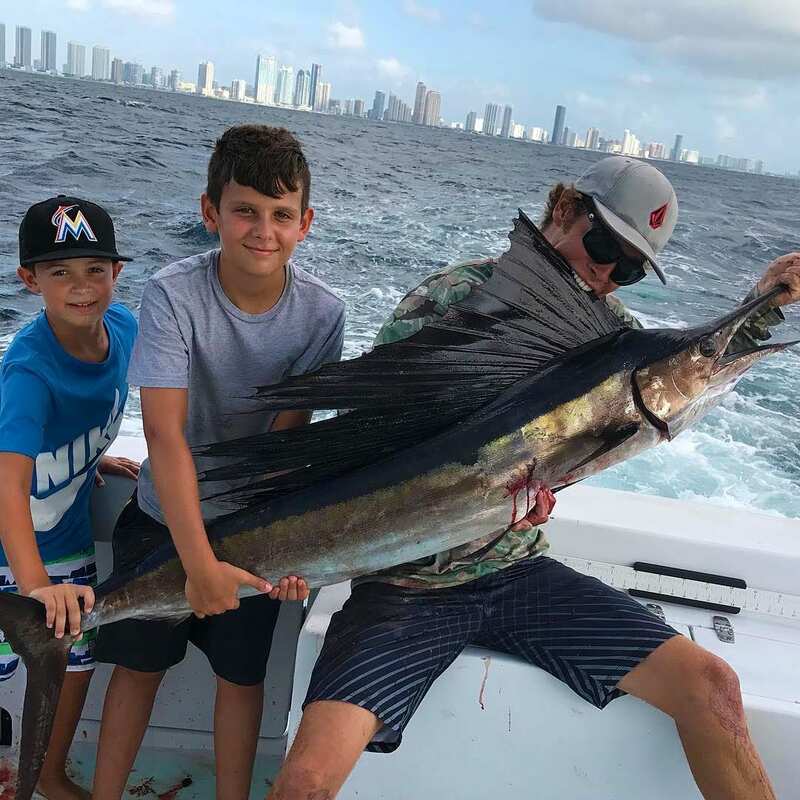 When sailfish fishing Miami, the best live baits are Thread Herring, Goggle Eye, Pilchards, Blue Runner & most other small to medium bait fish will work in a pinch. 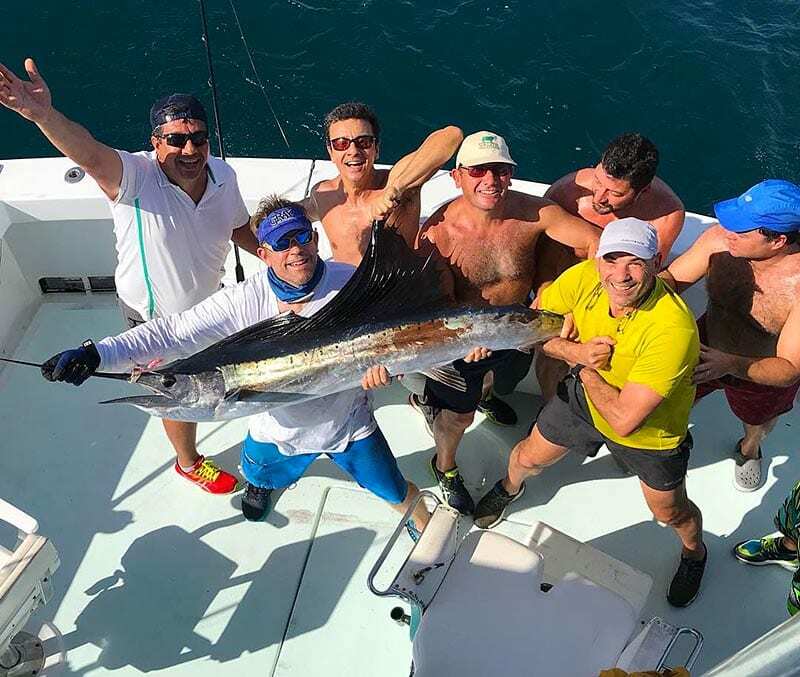 While Sailfish fishing it is not unusual to catch other species of fish. Some other types may include Sharks, Mahi Mahi (Dolphin Fish), Kingfish, Tuna, Wahoo, Barracuda and other pelagic sport game fish. We also fish deep lines for Sailfish and will on occasion catch Snapper, Grouper and Jacks.